This paper presents an analysis of a mobile robot path planning using potential field technique. The mobile robot has four wheels which can be driven and steered independently. For simplicity, this paper assumes Ackermann steering such that the vehicle can be modelled as a two-wheel system for path planning purposes. The potential field method which emphasizes on attractive potential and repulsive potential fields for path planning are proposed for analysis. For simulation settings, the mobile robot priorly does not pose any information on the environment and then moves until it reaches its goal using the calculated attractive and repulsive potential fields. The control gains which represents the attractive and repulsive force are studied to determine the effectiveness of the proposed method. Based on the simulation results, the robot is able to avoid obstacle and at the same time successfully arrived at the goal. Different cases of the potential fields and landmarks positions are also presented to determine the effectiveness of the technique. 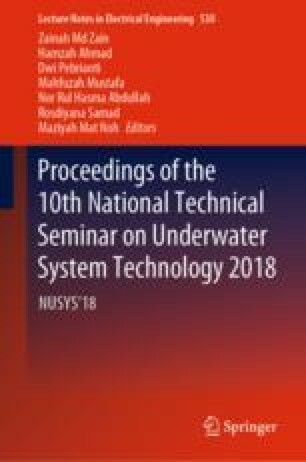 The authors would like to thank Ministry of Higher Education and Universiti Malaysia Pahang for supporting this research under RDU160145 and RDU160379.